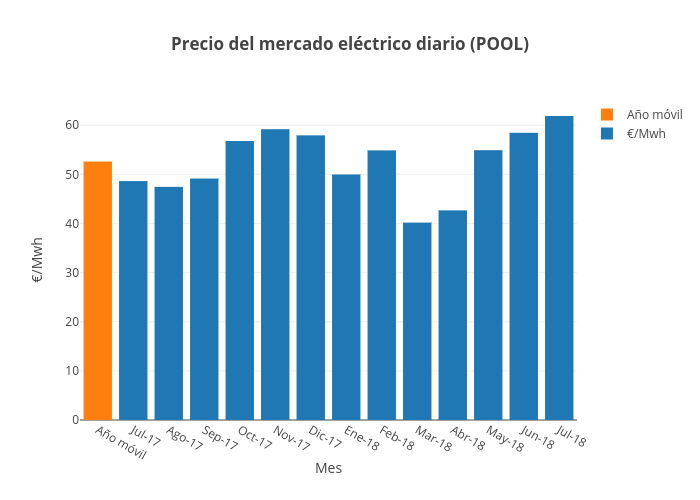 Jagomezrivera's interactive graph and data of "Precio del mercado eléctrico diario (POOL)" is a bar chart, showing Año móvil vs €/Mwh; with Mes in the x-axis and €/Mwh in the y-axis.. The x-axis shows values from -0.5 to 13.5. The y-axis shows values from 0 to 62.305263157894736.